In truth the Silly Season has been going on since about December if you are a cold water swimmer. If you are not, you may well have considered it to be silly to swim outside since September, if not earlier. The actual swimming, however, is not the silly part. 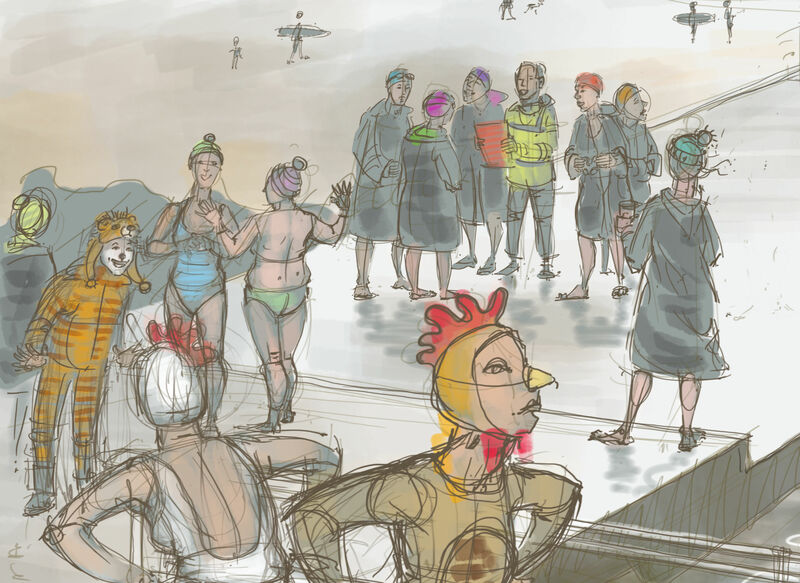 Welcome to the season of Winter Events, where wetsuits are often banned, but chicken costumes considered perfectly appropriate attire. Close-up detail – medals for everyone! 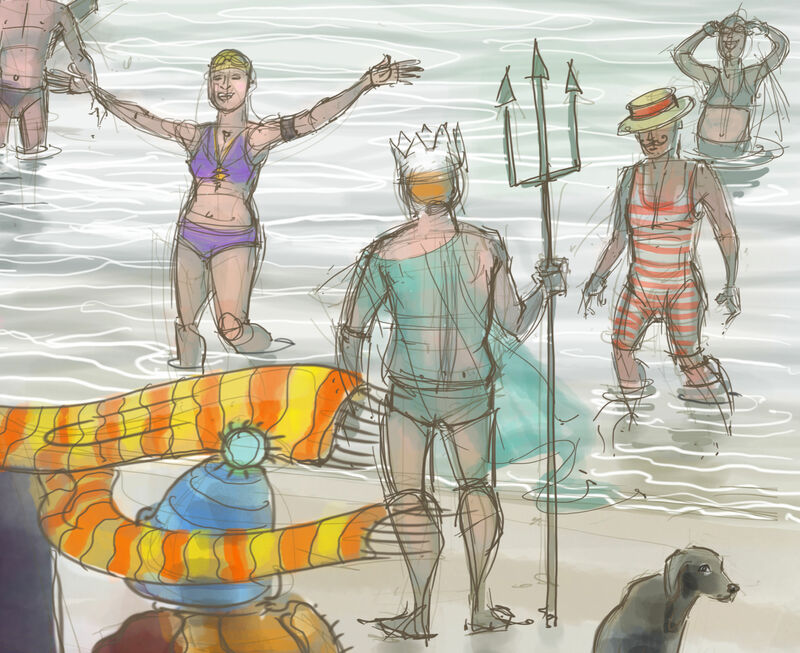 Close-up detail – Lucy, Neptune and the unimpressed dog. 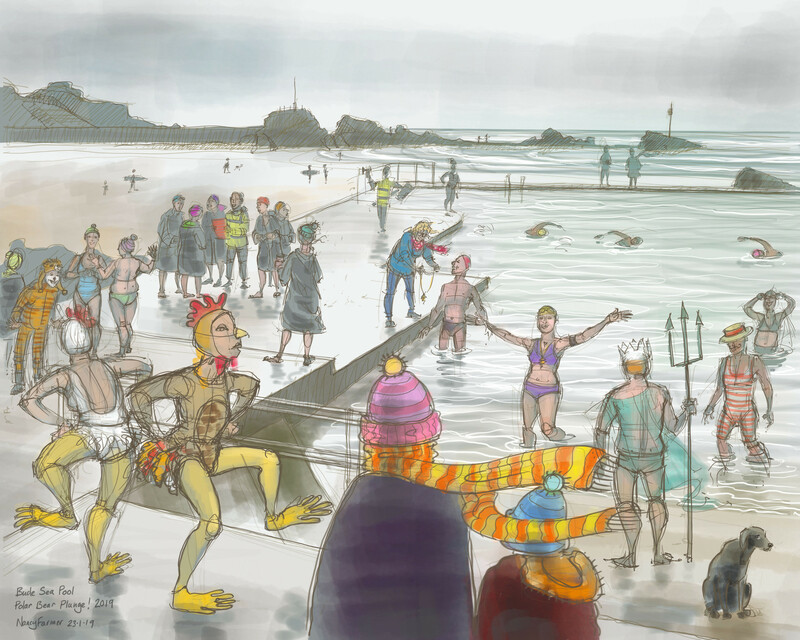 This entry was posted in Chickens, digital, Events, swimming and tagged art, art by Nancy Farmer, Bude Sea Pool, cold water swimming, drawing, ice swimming, Nancy Farmer, Polar Bear Plunge! 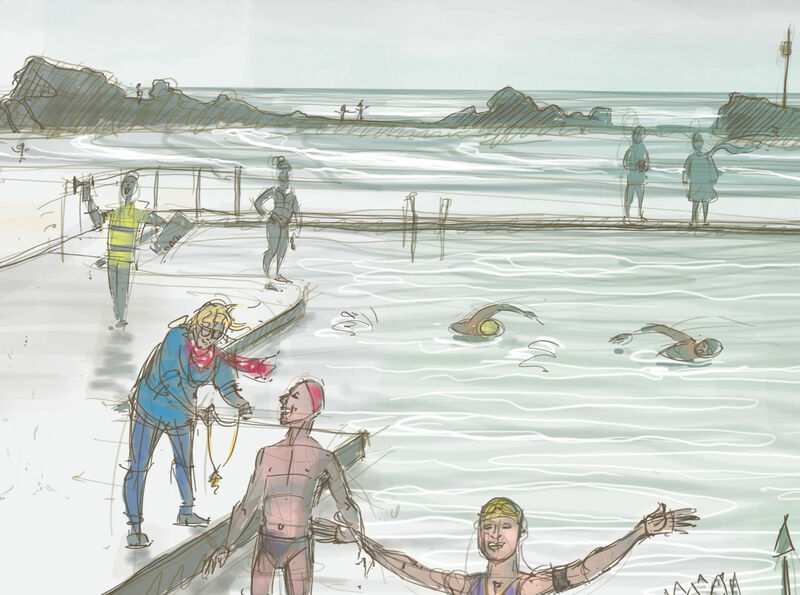 2019, winter events, winter swimming on January 23, 2019 by Nancy Farmer.